You want to uninstall “Professor Excel Tools” or any other of our add-ins? First of all: Sorry to see you leave. If you have any comments or feedback, we appreciate a short message to support@professor-excel.com. Thank you! 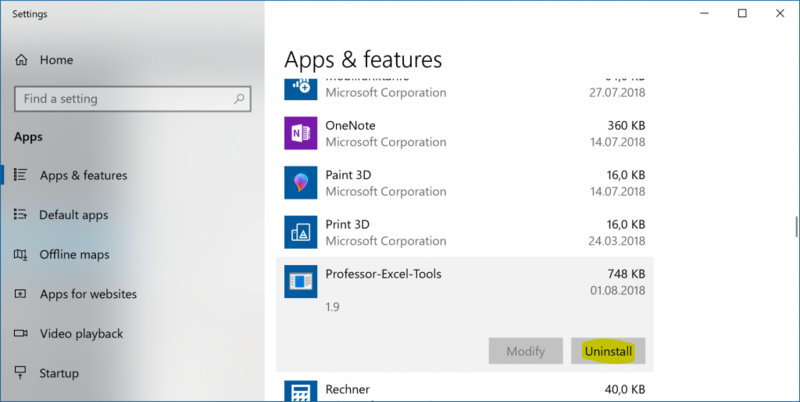 Uninstalling Professor Excel Tools (or any other of our add-ins is quite simple). Go to “Add or remove programs” in Windows. The fastest way is to press the Windows key and start typing “add or remove programs” until the regarding entry comes up. Alternatively type “Apps & features”. Now you should see the “Apps & features” window of Windows. Scroll down to “Professor Excel Tools” and click on it. Have you deleted or moved the file Professor-Excel-Tools.xlam? Remove the previous link to the add-in. Therefore open Excel, click on ‘File’ –> ‘Options’ –> ‘Add-Ins’. Make sure that ‘Excel Add-Ins’ are selected and click on ‘Go’. You’ll see a list of add-ins. Click on ‘Professor Excel Tools’. You’ll be asked if you want to remove the add-in. Click ‘Yes’. Add ‘Professor Excel Tools’ again. You can redownload it from here: https://professor-excel.com/tools/Professor-Excel-Tools.xlam. Then follow the steps shown in the Quick Install Guide (see download link below). Are add-ins allowed? Therefore Click on ‘File’ –> ‘Options’ –> ‘Trust Center’. Click on ‘Add-ins’ on the left hand side. Make sure that none of the three options is ticket. Click ‘OK’ and restart Excel. You’ve once seen the ribbon of Professor Excel and after reopening Excel it’s gone? 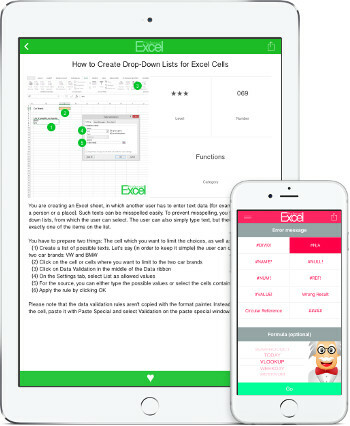 Try to add ‘Professor Excel Tools’ again: You can redownload it from here: https://professor-excel.com/tools/professor-excel-tools.xlam. Then follow the steps shown in the Quick Install Guide (see download link below). When purchasing a licence for the full version you’ll get a licence key. With this licence key you can unlock the full version. Therefore, go to About within the Info section. Then click on unlock and enter your licence key. The software is the same as the trial version. Only the trial version expires after 31 days after the first usage. You can redownload the trial version any time and enter your purchased licence key again. I want to update to a new version but it says that there is no new update available? For initiating the update please click on About on the right hand side of the Professor Excel ribbon. If the version number (e.g. 1.1) is lower than the current version shown in the update text on this webpage (below), the update should start when you click on “Check for updates”. Unfortunately, sometimes you’ll receive a message “No new updates”. In such case, please use the following workaround: Clear the cache of Internet Explorer. Open internet options by typing internet options by clicking on the small “gear” symbol in the upper right corner. On the General tab, under Browsing history, click Delete. If you don’t want to clear all files click on “Settings” and then “Show files”. In the new window, search for “ProfExToolsCurrentVersion.htm” and delete it. Try starting the update again. 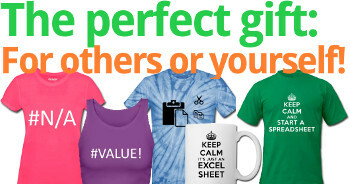 Please contact us if the problem still persists at support@professor-excel.com. We are working on a solution and in the meantime we apologize for any inconvenience. What do I get when I buy the full version? When you buy the full version, you will get a licence key. 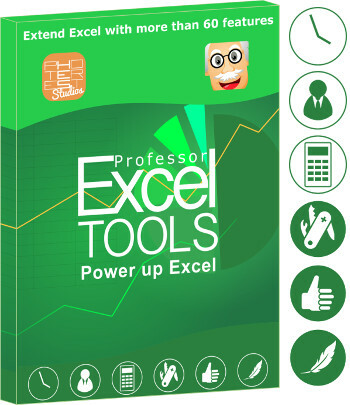 With this licence key you can unlock the full and unlimited version of Professor Excel Tools. The purchase process is handled via mycommerce.com. Clicking on the Purchase button will guide you to the site. Within the settings you can now define, if you want to copy the original cells again to clipboard after pasting them. Within the settings you can now define, if you want to adapt PROFEX formulas to your local installation of Professor Excel Tools. The Professor Excel formulas (e.g. PROFEXHyperlinkAddress()) now don’t link to your computer any longer. If you open a workbook with such formula, the link will switch to your local add-in. We’ve enhanced the Name Manager with new functions. You can now hide and unhide defined names. We completely redesigned the “Unhide Sheets” function. Check it out, it’s very powerful now! Choose if you want to enable or disable the keyboard shortcuts for the copy functions or Professor Excel Tools. The formula PROFEXColumn() now converts to a built-in Excel formula if you insert it by using the Formula function of Professor Excel Tools. Repaired: The copy function also copies the selected cell range to the clipboard so that you can paste it using the normal paste options. Merge Sheets: Copy all selected worksheets underneath each other on a new worksheet. Select the copy mode (e.g. as values, linked to source). Furthermore, you can automatically add the name of the source sheet in column A. Layout Manager: Select a defined cell (e.g. A1) on each worksheet. Show the trace dependents and precedents of all cells in the selected cell range. Also, hide the trace precedents and dependents arrows on each worksheet. Please note: We are working on an undo function. This is not supported by VBA and it requires individual approaches for each feature. For some, it works already (you will see that the undo button is highlighted). But because these procedures are rather unstable (especially a “redo” after “undo”) we recommend not relying on it. Save your favorite cell layout for heading cells and content cells. Apply it with one click. Go to settings and define your favorite format. Applying is even easier: Select cells you want to format and click on one of the Quick Format Buttons. Clean formulas: Often, formulas can get long and messy. Use the clean formula function to remove all “=+” in the beginning of a formula and remove worksheet names, if you link to the same worksheet. Export Manager: Export one or more worksheets to a folder. You can define one input variable to change each time. Calculate selection, force to number, insert IFERROR and ROUND now work on array formulas. When using the Quick Share Buttons you can now set (within the settings) if you want to remove INDIRECT formulas as well. Cells containing INDIRECT formulas will be converted to hard values. Layout Manager: Change the direction of outlines/groupings. Swap two cells: You can define within the settings, if other cells linking to your two swapped cells should adapt or not. Force to number: Works on formulas and array formulas. It also uses your favorite number format (defined within the settings). Also, we’ve further improved this function. You will more often see the progress bar. This is especially useful when applying changes to many cells at the same time. Name Manager: Shows the total number of names and the number of selected names. Insert IFERROR and ROUND: More reliable with long formulas. Compare sheets: Sheets will be converted to hard values before the comparison. You can now clear the status bar info within the settings. “Reduce File Size” now shows you the size of each worksheet. You can then select which worksheet you want to reduce. New function: “Name Manager”. The built-in name manager only shows a small portion of the names in your workbook. With our new name manager you will see all named ranges and you are able to remove them separately. We removed the function to swap comma and point (usually people use the function “Force to number” instead). Instead, we introduced a function to swap two cells. The best part: any cells directly linking to one of the swapped cell will automatically adapt. New function: “Remove Conditional Formatting” rules but keep the format. Just select the cells with conditional formatting and press the button “Remove Conditional Formatting”. This function is very exciting: press Ctrl + Alt + c on the keyboard for copying the current cells. You can then use one of Professor Excel Tools paste functions or the normal Excel paste options. The best part: copy the last range again by pressing Ctrl + Shift + c.
PROFEXAuthor: Insert the name of the author. PROFEXDateCreated: Insert the date on which the workbook was created. PROFEXDateLastSaved: Insert the date on which the workbook was last saved. PROFEXFileSize: Insert the file size of the current workbook. PROFEXFolderName: Insert the folder name of the current workbook. PROFEXLastSavedBy: Insert the name of the person who last saved the workbook. PROFEXNumberOfHiddenWorksheets: Insert the number of hidden worksheets. PROFEXNumberOfWorksheets: Insert the total number of worksheets. PROFEXWorkbookPath: Insert the workbook path. Insert formula: when you insert a PROFEX formula through the insert formula window which can also be created with built-in formulas, Professor Excel will insert the real Excel formulas instead of PROFEX formulas. That way, users without Professor Excel Tools won’t see error messages. We have moved the “Workbook Info” button to the Info section.